Monsoon Wedding? 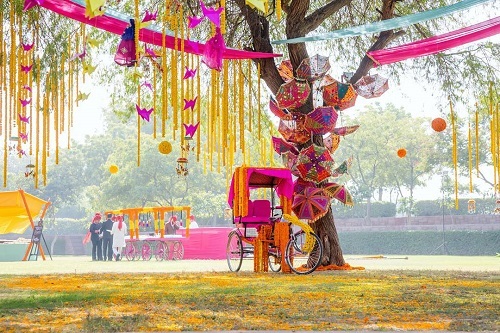 Colourful Ideas To Brighten Up The Functions! 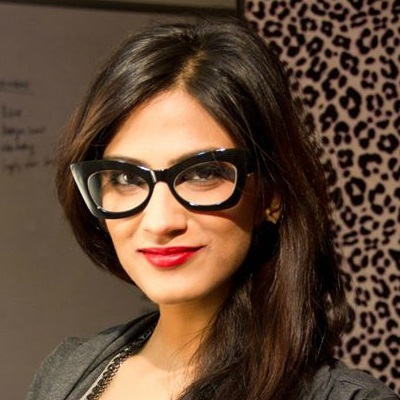 Is your shaadi date fixed for the monsoon season?! Well, you’ve got to be a really happy bride. Because nothing's more fun than getting married in the rain, right? 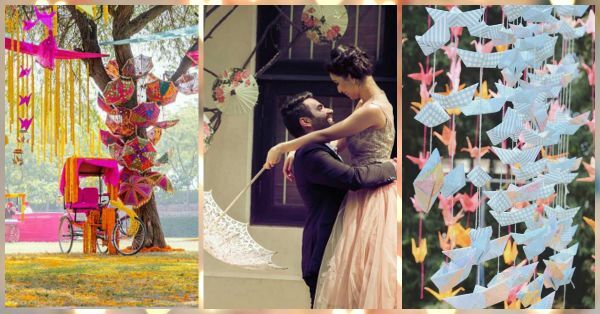 And because we at POPxo love weddings and the rains, here are a few super-fabulous ideas to incorporate in your wedding. Umbrellas are synonymous with monsoons and you’ve got to make sure they are all around and everywhere. To start with, why not incorporate umbrellas in your pre-wedding shoot? Or your wedding invites or even use them for your wedding day couple shoot. Sounds good, right?! 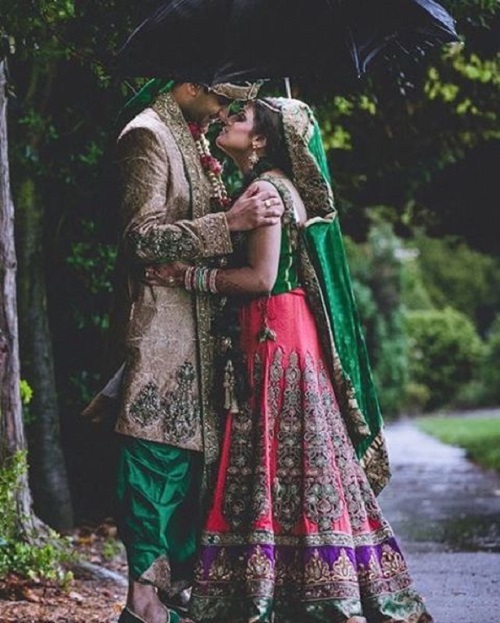 Image: Cupcake Productions on Instagram Set the tone of your monsoon wedding with an adorable pre-wedding shoot like this. Image: Dulhan_Diarys on Instagram Such a magical moment! And no, it doesn’t have to be boring! Save yourself from unexpected rains with tents at your wedding that look oh-so-pretty. 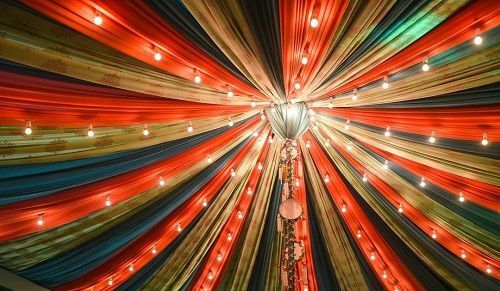 Image: Devika Narain on Instagram How fun is this coral and aqua tent with festive tambourines and little bulbs? 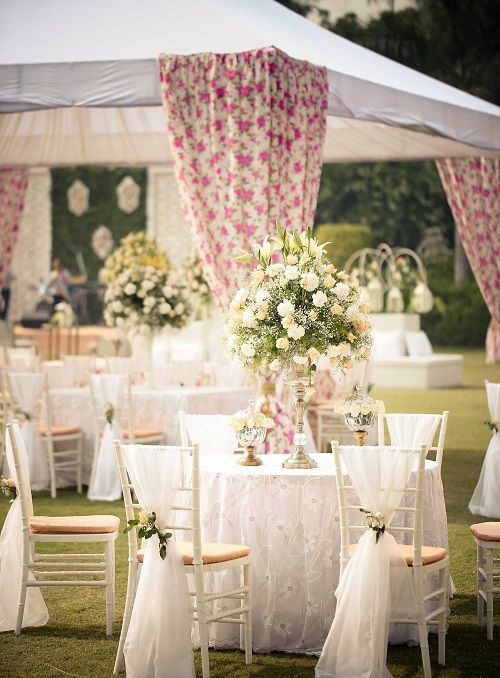 Image: Morvi Images This white and floral tent is just so adorable! 4. Signboards are the new, cool thing! 5. Chappals at the shaadi! Hell, yeah! Monsoons mean wet grounds and we’ve all had that situation where our heels keep getting stuck in the muddy patches of the garden. Here’s a super-cute way to ensure your guests are always comfortable! And wouldn’t they be amused to see pretty chappals or flip flops in various sizes for their aching feet?! 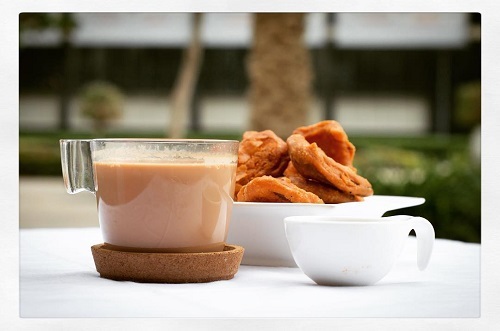 It’s a great idea for your sangeet night too! Time to kick off those heels and dance the night away. Play up the theme of your monsoon wedding in the decor too! 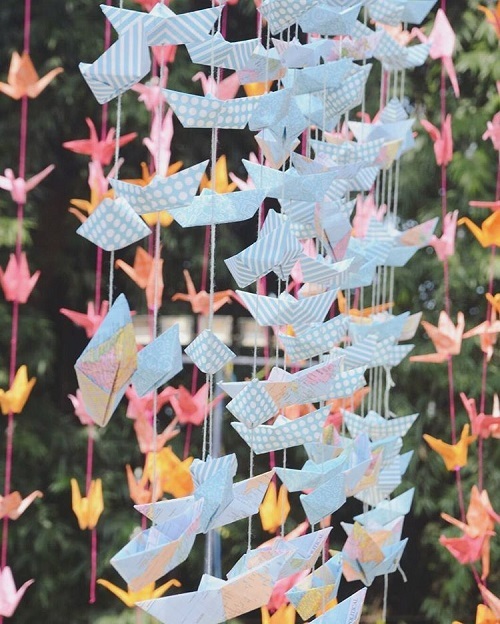 Image: Devika Narain on Instagram Strings of colourful paper boats…now isn’t that adorable! Image: Devika Narain on Instagram Ethnic Jaipuri umbrellas not just make for stunning decor elements but are pretty useful during rains too! You can also hand them out to your guests as mehendi giveaways and even use them as photo props. 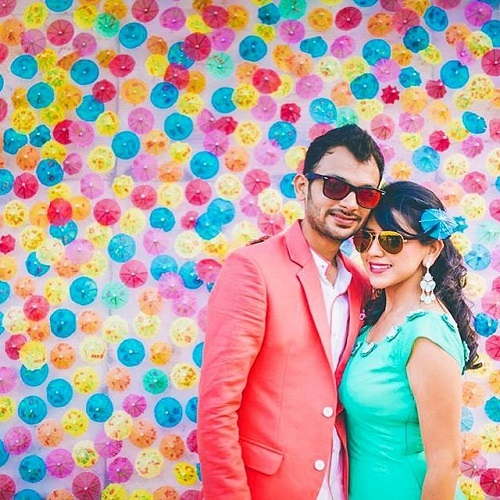 Image: Pooja Joseph Photography A photo backdrop made of cute little umbrellas! And did you notice the little, blue umbrella tucked in the bride's ear? Well, you can totally give these out to all the ladies in your bridal party! Have a happy monsoon! <3 HAVE A STORY IDEA FOR POPxo? If you want to hear about it, we can write about it! Just tell us your idea here! 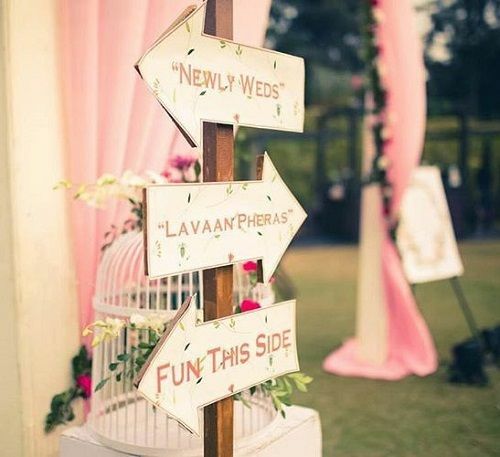 MUST-READ: How To Choose The PERFECT Venue For Your Wedding MUST-READ: 8 Gorgeous Mandap Pictures To Show To Your Wedding Planner!